It’s a term that has been in use for a few years. Its meaning has evolved slightly during that time, from a term ‘only applied to large, traditional organizations’, according to the Harvard Business Review, and used mainly to refer to specific initiatives or projects, to one that means an end-to-end rethink of a firm’s approach. 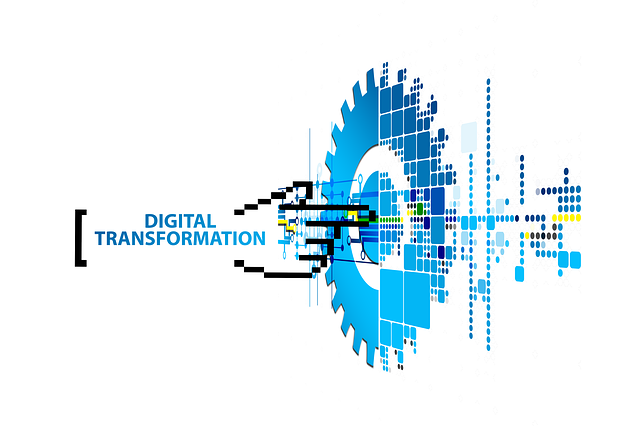 This is echoed by Quality Deployment, a company that believes that ‘True digital transformation will involve the entire organization, and will leave no stone left unturned’. In practice, this might mean overhauling the way your firms’ operations make use of technology. It might mean delivering customer experience in a digital way, or re-engineering your communications to exploit digital channels. It might mean totally re-imagining your business model to embrace all of these – or any number of approaches in between. Given the wholesale nature of the change this will require, it’s not surprising that this type of transformation needs the backing of the board to succeed. Who do you need on your board for digital success? The Harvard Business Review article looks at the board directors you need for digital transformation. Research carried out by a search firm, quoted in the article, showed that 63% of executives say that the partnership of the board is critical to the success of transformation efforts. Despite this, only 27% reported that their board currently serves as an advocate for digital strategies. Digital thinker. A director with little direct interaction with digital but who conceptually understands the environment. Digital disruptor. Someone who has been deeply embedded in digital, often with less general management breadth. Digital leader. A director with substantial experience of running a traditional business that leverages digital in a significant way (retail or media, for example). Digital transformer. Someone who has led or participated in a transformation of a traditional business. Typically less senior than a digital leader but more technologically astute. It reports that although the ‘disruptor’ role is still needed, a growing number of leaders fall into the ‘transformer’ category. This perhaps reflects a longer-term view; that while disruption might initiate transformation, the ability to embed a digital approach into the business as a long-term cultural change is increasingly prized. The article also warns against focusing on ‘“single issue” board members’; rounded directors with a range of skills are more likely to add value to your C-suite. Read more about how you can ensure you have the right mix of perspectives on your board. So, once you have the right people in place to enable digital revolution – what do they actually need to do? Quoting the Harvard Business Review article again: ‘Digital transformation needs to be wholesale. Digital innovation needs to permeate and recast every aspect of the business and the board’. The board needs a vision, and needs to convey that vision to the organisation. Directors need to lead from the front, pushing forward the digital agenda to ensure that change takes place. This needs to be not a one-off but an ongoing change in approach if it’s to succeed. The board needs to understand technology – its ramifications and its potential. Find out how you can tell whether your board is fluent in technology. They need to create the right culture. A culture that embraces digital approaches is collaborative, forward-looking and open to new ideas. Digital doesn’t stand still – there’s a constant need to evolve; to look for the next opportunity to use innovation to get a step ahead. How best to get started? If your board truly wants the organisation to embrace a digital-forward approach, you might want to start by demonstrating your own willingness to adopt innovation. Leading from the front means evidencing your commitment to transformation. Creating a digital boardroom is one way to do this, perhaps by introducing a digital approach to board papers. A board portal is a user-friendly way to employ online innovation for your own benefit, showing that the board is ‘walking the talk’ when it comes to digital adoption. You can read more about the benefits of board portals – and the ease of taking a portal-based approach – in our whitepaper, Board portals – what’s in it for directors? It’s free to download here. We are always looking for informational articles from industry experts. We read through all submissions so please be sure to follow the rules. Articles submitted for review must be 100% unique, no spun articles or unnaturally written submissions. The topics must be closely related to your business and relevant. We only accept articles that offer value to the reader and that are not purely promotional. We do accept x1 promotional link to your website. All articles must be over 800 words and written in plain English. Send us an email. That’s it.